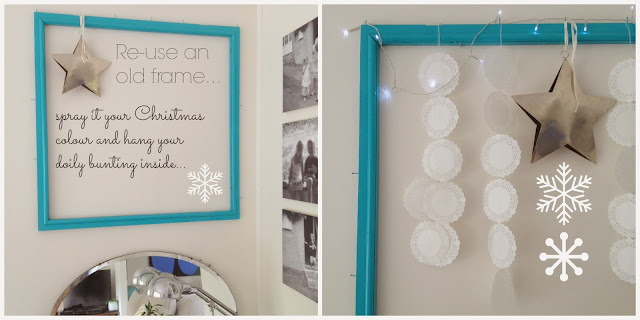 Day 4 of some Christmas crafting...and this one is the easiest, happiest, simplest, loveliest 10 minute job before the big day, I could throw at you! They are timeless...clever...and come in both fabric (for us serious collectors- yes Liz Troy!) and paper which allows you endless craft ideas! Mason jars, filled with Christmas goodies and wrapped in string and a fabric doily- H.E.A.V.E.N. in my small world! Beautiful soaps, wrapped in a fabric doily and beautiful, simple fabric ribbon- D.I.V.I.N.E- teacher's present done! This year, I decided to make falling strings of doilies- a little like snow flakes- to fill an empty frame we have hanging above our sofas. 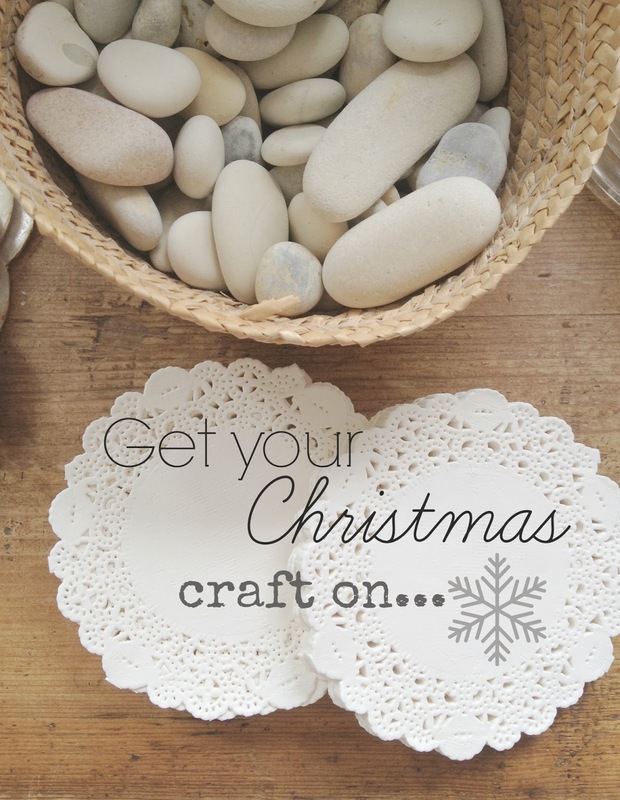 You need nothing but a small bag of doilies, any size...and your sewing machine! Then string or cotton, could be taped to the centre of each doily...(a small piece of invisible tape would do the job). 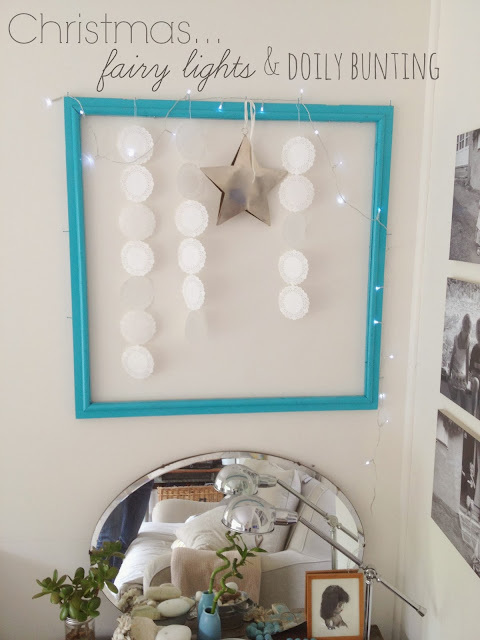 This is truly the best *10 minute festive DIY*. I've got wee little nails in the top of my frame up there on the wall...they are at pretty random lengths- totally the way I work when it comes to quick crafting- and are strong enough to bung up a string of paper doily bunting, or to hang some fairy lights and Christmas deco's I can't bare to pack away. I also have a stash of coloured paper doilies, gorgeous for birthday parties...this is a craft for every event in your calender! collect sticks before the snow flies! ideas in the midst of this busy season. am very grateful that you do! Clever clever clever! I love paper doilies too. Something about the way they are punched and how you have to peel them apart. And they look so pretty. I must get Miss 15 onto this - we need to find ways to fill that long school break. I LOVE crafting for the holidays! Looking forward to seeing your ideas as part of Alicia's Handmade Holidays Series!!!!! !